A single-seat, counter-rotating ultra-light helicopter designed back in 1998. 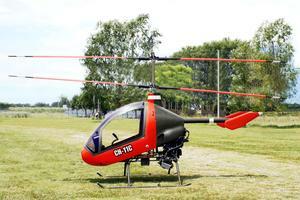 2014 installation of autonomous control systems has converted it into a UAV. It allows the adaptation of an additional piston engine and and also a turbine engine. Resources related to the CH-11C , provided by the Vertical Flight Society. Resources related to the CH-11C , provided by public sources across the internet.